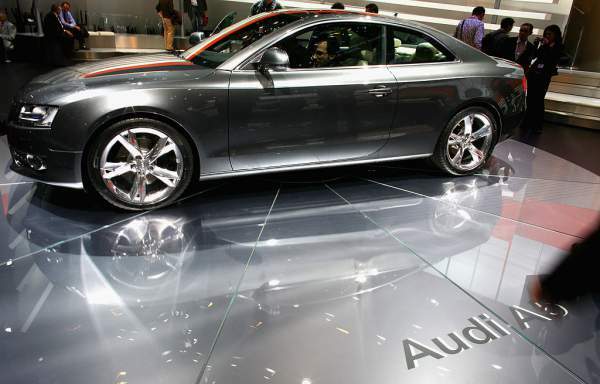 Audi A5 Cabriolet Price, Specifications, Features, Release Date: Audi has now officially completed the A5 family of their cars with the new A5 Cabriolet. The new Audi A5 Cabriolet has been launched at the LA Motor Show and a UK release date in the year of 2017. This convertible model of the A5 series cars comes with an elegant style, steeply raked rear window and strong shoulder. The company has added new signature LD headlights on the front. The new Audi A5Cabriolet has the capacity of 4 people. This convertible car takes only 15 seconds to fold its roof and only 18 seconds to unfold/raise the roof. Other convertible cars can’t convert while moving. You need to stop the car. But in this, you don’t need to stop. You can convert it while the car is moving. Even at 31 miles per hour, the car can be folded or unfolded. This offers a very good feature in the vehicle. The driver doesn’t need to stop and park the car in case of rain. The driver keeps on moving and alter the roof of the car. It is said that it comes with a 2.0 or 3.0 L with diesel or petrol options. The car has the option of transmission both automatically and manually. The car uses the latest 5-link suspension (independent). The company has equipped it with electromechanical power steering system. Audi is promising to give the driving experience similar to that of the coupe version by adding some struts in the body. Another interesting fact about the car is that it weighs only 1690 kilograms, which is 40 kilograms lighter than the old version of the same series. It is available with four engine variants. They are 249 bhp 2.0 TFSI petrol, a 215 bhp 3.0 L TDI, a 187 bhp 2.0 TDI and a 349 bhp 3.0 TFSI. The 2.0 TDI engine has got the rating of 62.3 miles per gallon. Talking about the interior, the cabin is very spacious. The company has looked after the comfort and extended the rear legroom by 18mm. The big boot with the huge storage capacity of 380 L is available with the hood down. Also, the rear seats can be folded to give you extra space. The seats can be folded to give a 50:50 split for extra storage. Audi has also added certain features like adaptive cruise control with the semi-automatic traffic jam, rear cross-traffic assist, traffic sign recognition system, park assist and collision avoidance assist. The car is expected to ready for delivery by March 2017. Audi has made all the feature available in the car. Hope you like the car. Stay tuned to The Reporter Times for latest automobiles news and updates. Don’t forget to add up your thoughts and share it on social media sites.